$49.95 In stock. Order in the next 18 hours, 6 minutes and it will go out today! This new Black with Big White Spots Devil’s handkerchief is a GIANT 30” square. It's properly made with the "No Sag" feature. This means you can use objects much larger and heavier than with the old-fashioned Devil's Hank. 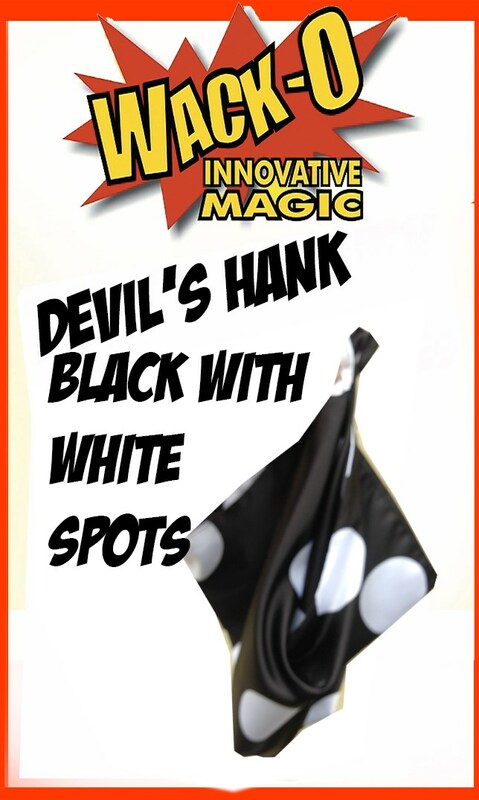 Place your order for the Black with Big White Spots Super Giant Devil's Hank. Want another color? It may be available on this site. Check the recommended products below.